Uganda’s military intervention in South Sudan has prompted warnings that the crisis in the world’s youngest state could escalate into a regional conflict. But what are the interests of South Sudan’s neighbours? What are they doing to further them? And how will their actions affect efforts to end the fighting? Uganda sent troops and aircraft over its northern border after a political power struggle between South Sudanese President Salva Kiir and his former deputy, now armed opposition leader, Riek Machar, exploded into violence in December. The fighting has left thousands dead and displaced more than 900,000, including over quarter of a million who have fled to neighbouring countries as refugees, according to the UN. It has raised fears of famine because South Sudanese farmers have been unable to sow their fields. The conflict has also split the Sudanese People’s Liberation Army, which took control of the country on its 2011 secession from Sudan after decades of civil war, exposing failed efforts to reconcile embittered factions and push through reforms that could cement civilian democratic rule. Initially, Uganda styled its latest intervention as a humanitarian mission. Its troops secured the airport and other key infrastructure in Juba, the capital of South Sudan, enabling the evacuation of thousands of its citizens and other foreigners. Ugandan officials claim they helped avert a potential Rwanda-style genocide, as the spiralling violence saw both sides accused of massacring civilians on the basis of their ethnicity. But Kampala’s forces – estimated at between 1,500 and 4,500 personnel - have reportedly pushed further into the country, helping government troops reconquer key towns and secure oil fields near the border with Sudan. 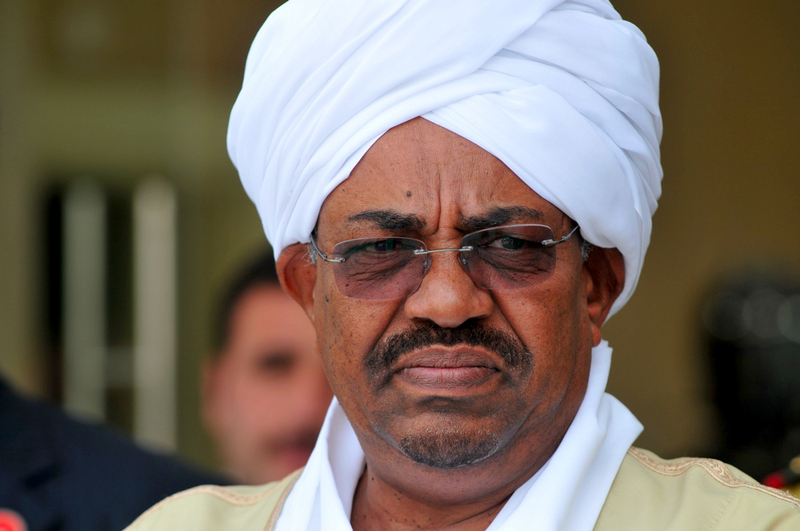 That has raised concern about how Khartoum, which has a long history of antagonism towards Kampala, will respond. Uganda’s interest in a stable and friendly South Sudan is manifold. Uganda quickly became a critical trading partner of independent South Sudan, exporting goods from coffee and shoes to vehicles and steel worth hundreds of millions of dollars annually. Moreover, thousands of Ugandans have taken up residence in South Sudan, attracted by the opportunities of an economy rebounding from years of war. Uganda also has long-standing security preoccupations. Uganda was a key backer of the SPLA in its long armed struggle against the government of Sudan. Khartoum in turn backed several proxy forces against the SPLA and Uganda, including the Lord’s Resistance Army (LRA), a notorious militant group of Ugandan origin. In the current conflict, Kampala has expressed concern that the LRA, which has more recently operated in neighbouring Central African Republic and Democratic Republic of Congo, could regroup in a lawless South Sudan. Uganda needed to “close a security vacuum which was being created by the crisis, and had the potential to facilitate LRA activities, and infiltrating back to Uganda,” Foreign Minister Sam Kuteesa said in February. With more than 70,000 people having fled over its border, Uganda is also the primary destination for the latest wave of South Sudanese refugees - an unwelcome burden and another potential source of insecurity. Uganda appears to view Kiir, the elected president, as the leader most likely to protect its interests. Abraham Awolich, an analyst at the Sudd Institute in Juba, said Kiir’s personal relationship with veteran Ugandan President Yoweri Museveni was also important in that calculation. “The two men have grown close over the last few years and Museveni was not going to allow his friend and ally to fall,” Awolich wrote in a recent policy paper. For the time being, Sudan has also supported Kiir. Khartoum lost an estimated 75 percent of its crude oil production when South Sudan seceded. That has only increased the importance to Sudan’s shaky economy of the transit and refining fees it still receives for allowing Juba to continue exporting oil through Port Sudan on the Red Sea. The countries veered close to war in 2012 amid disputes over the oil revenues and deadly skirmishes over their partly disputed border. However, relations improved markedly after Kiir and Sudan’s President Omar al-Bashir signed a new deal on the sharing of oil income later that year. Young said Kiir strengthened those relations further last year by replacing several government ministers - some of whom are now in opposition - with figures having strong connections to Khartoum. Bashir visited Juba for talks in January, and agreed to send hundreds of technicians to help operate the South Sudanese oil fields. Many other foreign oil workers were evacuated amid the fighting and production has reportedly dropped by 29 percent. However, analysts judge that Uganda’s overt intervention could push Khartoum to hedge its bets, especially if the rebels aligned with Machar were able to make political and territorial gains and threaten the oil fields in South Sudan’s Unity and Upper Niles states. Safwat Fanous, a professor of political sciences at Khartoum University, said Khartoum had supported Kir in the hope that he could re-establish a strong government able to control the border as well as keep the oil flowing. Khartoum has abiding concerns about the porosity of its southern frontier. Sudan is battling multiple insurgencies on its side of the frontier, including in the South Kordofan and Blue Nile regions. Rebel groups there have long-standing ties to the leaders of the SPLM as well as to Uganda. Khartoum, which backed Machar in earlier power struggles within the SPLM, could also “reconsider its alliances” if those other rebel groups strengthened their reported deployment alongside Kiir’s forces, Fanous told IRIN. Donald Booth, the US special envoy for Sudan and South Sudan, told American lawmakers on 26 February that Sudan had been playing a “constructive role” in the crisis. The prospect of intensified proxy conflict between Uganda and Sudan has added urgency to the regional diplomatic efforts. While Ethiopia’s economic interests in South Sudan are less pronounced than those of Uganda and Kenya, analysts say it too has security and strategic interests best served by a quick end to the fighting. Much of the population of Ethiopia’s western border region of Gambella shares the same Nuer ethnicity as many of the supporters of Machar, raising the possibility that some Ethiopians might wish to provide support or shelter to South Sudanese rebels, or even join their fight. The conflict has already sent more than 60,000 refugees fleeing over Ethiopia’s border. There has also been speculation that Eritrea, which broke away from Ethiopia in 1991 after decades of armed struggle and later fought a bloody border war with its bigger southern neighbour, could be tempted to arm Machar’s rebels. Eritrea is already under UN sanctions for its alleged support for rebels in Somalia, including Al-Shabab. Ethiopia has intervened repeatedly in Somalia in support of the Western-backed government. Addis Ababa is hosting the mediation efforts by the East African regional grouping IGAD. It was the first to call for Uganda to withdraw its troops. But analysts say its diplomatic jostling with Kampala and Nairobi also complicates efforts to broker a peace deal. The mediation talks, which produced an ineffective ceasefire agreement in January, are due to resume on 20 March. "Kampala has expressed concern that the LRA, which has more recently operated in neighbouring Central African Republic and Democratic Republic of Congo, could regroup in a lawless South Sudan"
Young said senior Ethiopian officials regarded the Ugandans as “upstarts” intruding on their sphere of influence in the Sudans, a view shaped by the diplomatic weight accrued by long-serving former Ethiopian Prime Minister Menes Zenawi. “They think this kind of engagement by the Ugandans is individualistic - it doesn’t involve any institutions or regional organizations - [and] that it is destabilizing and not effective,” he said. Zackaria Diing Akol, another analyst at the Sudd Institute, said Ethiopia’s efforts at mediation were also shaped by rivalry with Kenya. Akol said some Ethiopian officials believe Nairobi gained too much economically and diplomatically from its role in helping secure the 2005 agreement that paved the way for South Sudan’s eventual secession. Both former Ethiopian Foreign Minister Seyoum Mesfin and retired Kenyan Gen Lazarus Sumbeiywo, who mediated the 2005 deal and subsequently wrote a book about it, are among the IGAD negotiatiors. Kenya shares Ugandan concerns that prolonged instability in South Sudan will damage its own lucrative trade with Juba, as well as send refugees fleeing over its border. Kenyans have invested in banking, insurance, aviation, construction, hospitality, information and communication technologies, transportation and wholesale and retail trade, according to Paul Odhiambo and Augustus Muluvi of the Kenya Institute for Public Policy Research and Analysis. Looking ahead, Kenya has also sought to offer Juba an alternative route for its oil exports. Nairobi has plans for roads, railways and pipelines that would feed a giant new port at Lamu on the Indian Ocean - ambitious projects that also involve Ethiopia and Uganda and whose feasibility depends partly on stability in South Sudan. Relations between Kenya and Uganda are strong, and Nairobi has voiced support for Kampala’s initial intervention in South Sudan. Kenyan President Uhuru Kenyatta also expressed “support and solidarity” with Kiir during a February visit to Juba, and called for a speedy resolution of the crisis. The interplay of regional interests complicates the task facing IGAD, which is discussing sending a joint force into South Sudan by mid-April to enforce the ceasefire. Still, others say Uganda deserves praise for averting an even greater bloodbath in the capital, Juba, and making it clear to the rebels that they cannot score a military victory, pushing them towards eventual negotiations. 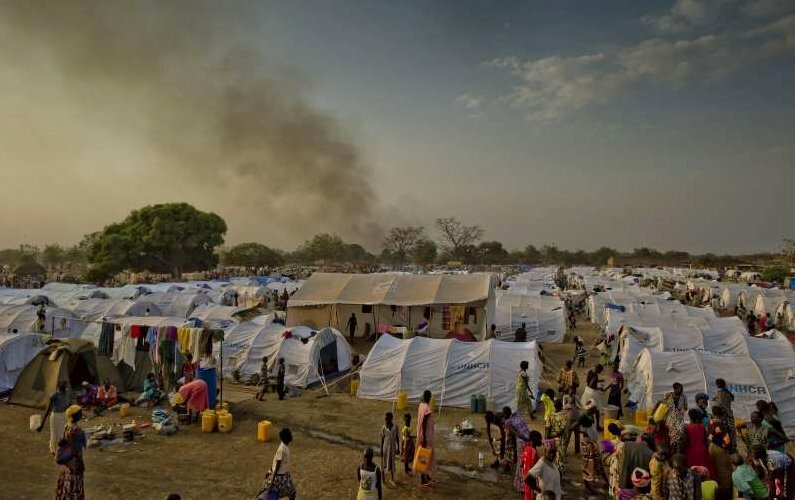 “Understandably, those in opposition see the intervention as one-sided, but that does not take away the fact that the relative stability seen in Juba and other parts of the country is in large part a direct result of Uganda’s intervention,” Awolich said. Many observers argue that any peace deal between the opposing factions of the SPLA must be coupled with a programme of political reform and grass-roots reconciliation to reduce the chances of further violence disrupting the country’s development. A sticking point may be that those external demands may coincide too closely with those of Kiir’s opponents. Mahmood Mamdani, director of the Makerere Institute of Social Research in Uganda, said concerted regional pressure would be essential to securing significant political change in South Sudan.